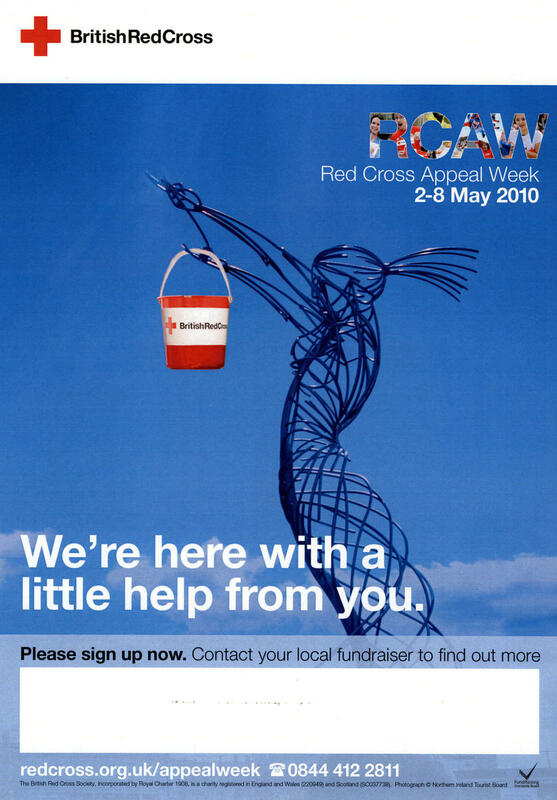 Red Cross Appeal Week, 2-8 May 2010. Fundraising poster. Title: 'We're here with a little help from you'. Shows the Beacon of Hope sculpture, Thanksgiving Square, Belfast. The sculpture is holding a British Red Cross collecting bucket . One of a set of 5 fundraising posters for internal use showing public sculptures representing different areas of the UK.